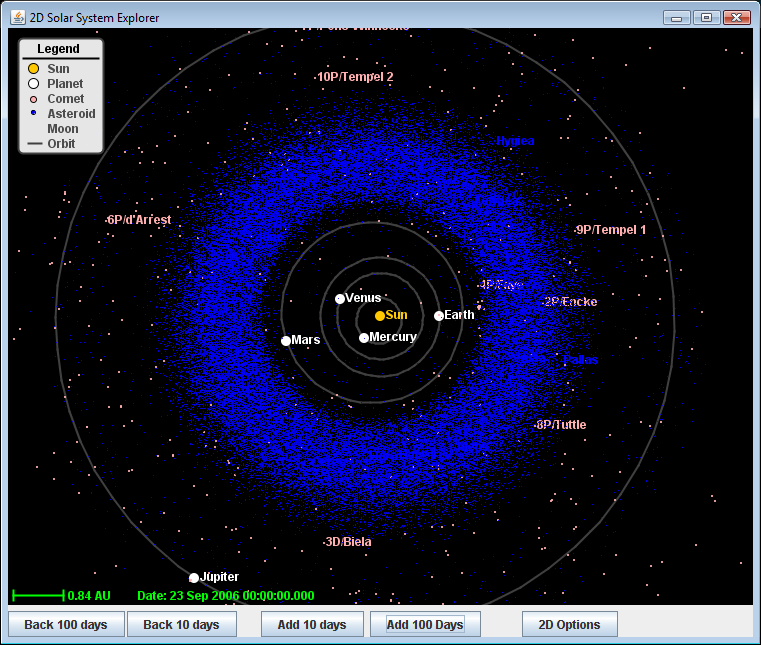 Explore our Solar System in 2D plus time - includes comets, asteroids, and planets. 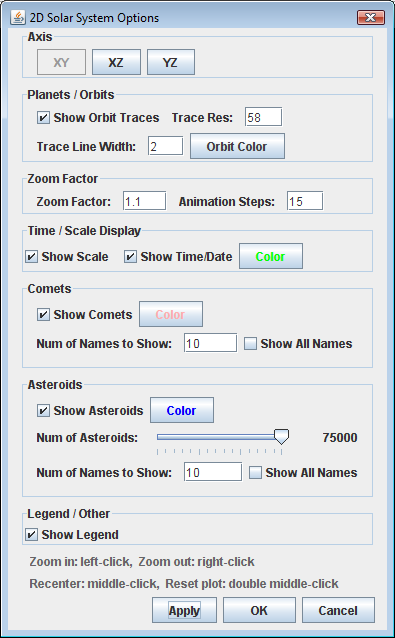 Web start version only contains 15,000 asteroids to try and keep the file size down. It also contains over 2,000 comets. Zoom in, zoom out, and recenter by left-clicking, right-clicking, and middle-clicking respectivley.